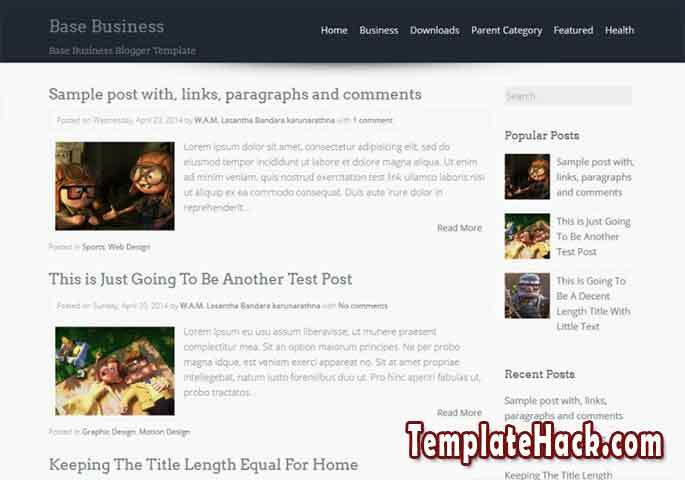 TemplateHack.com - Download Base Business premium blogger template. Base Business is adapted from wordpress blogger template made for your business profile. If you have business firm, company profile, organization and institution, this template is a great for you. With simple and minimalist design, it will make a new feel from your visitor blog. Being a responsive design, it will load successfully on desktop, mobile, smartphone, tablet, and any screensize devices. With popular post and recent post widget include, it will make your blog look proffesionally. adapted from wordpress, wordpress look, simple, minimalist, page navigation menu, responsive, popular post widget, recent post widget, fast loading, SEO friendly, post thumbnails, 1 column, 1 right sidebar, blak, grey, white. 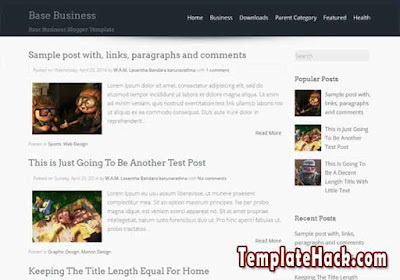 business blogger template, team listing blogger template, profile blogger template, company blogger template, institution blogger template, magazine blogger template, firm blogger template, magazine blogger template.